The Philadelphia Eagles (8-8) played their first game of the season that had no implications, other than draft position, against the (5-11) Washington Redskins. 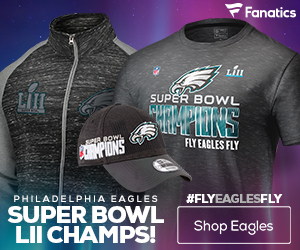 The Eagles entered the NFC East matchup the week before blowing out the Dallas Cowboys on the road, but were still eliminated from the playoffs. The Skins’ came into the game just trying to salvage something after their entire season went up in flames after week four. Philadelphia just had the better team. It’s that simple. I wish I could say that the Eagles 34-10 win was really impressive, but it was against an incredibly bad Redskins team. Washington has struggled immensely this season, and the fact that Rex Grossman is still the starter sums up their situation really well. I have stated in the past that the Skins’ have some really nice defensive pieces, which is true, but it wasn’t any match for the Eagles elite offensive firepower. 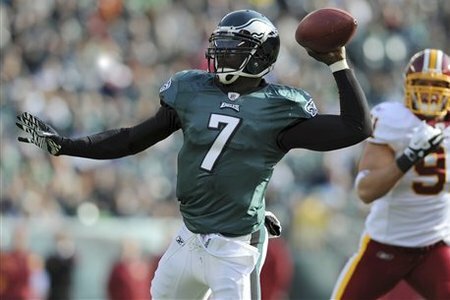 Michael Vick arguably had his best game of the season, throwing for 335 yards, three touchdowns, and only one interception. Throughout the game, Vick looked sharp and was making impressive downfield reads, only having one minor slip-up when he threw an ill-advised pass towards OJ Atogwe. 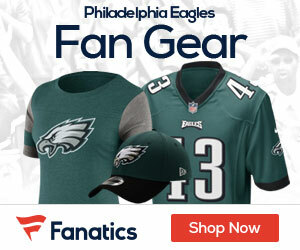 The Eagles best offensive weapon, LeSean McCoy, did not play following an injury sustained in week 16. However, Dion Lewis and Ronnie Brown filled in surprisingly well for him, and each had a decent game. In this game, the Eagles did some interior evaluation and started some defensive back-ups to see what they could do. Linebackers Casey Matthews and Keenan Clayton saw more playing time than usual, and both had good games. Grossman also saw a consistent diet of Dominique Rodgers-Cromartie, who was starting in place of the injured Asante Samuel. Overall, Philadelphia’s defense looked good, better than earlier in the season no doubt. The only real issue was that rookie running back Evan Royster, (who was recently activated off the practice-squad in Washington), had a surprisingly good game, rushing for over 100 yards. Like I have said in earlier weeks, Andy Reid has indefinitely saved his job for next season. I really believed that following the win over the Miami Dolphins several weeks ago that he had secured his position as head coach, but finishing the season (8-8) guarantees that he will be back next season. In regards to Juan Castillo, it is still a toss-up. It seems that Castillo has totally turned around his defense and he has them playing really well. On the flip side, it took him 14 weeks to get them in that form, and the Eagles may not give him another shot in 2012. The majority of what will happen in Philadelphia’s off-season will be determined by what personell is available. For example, Steve Spagnulo was fired from St. Louis, and the Eagles will try to hire him as their defensive coordinator, then get rid of Castillo, saying that he doesn’t find work elsewhere first. This was planned to be the Eagles ‘Super Bowl or Bust’ season. They busted, and there will be changes. Maybe not major changes, like firing Reid, but there will be some movement. Philadelphia has been eliminated from the playoffs and this was their last remaining game. Judging by Philly’s (8-8) record, the Eagles will have a mid-teen pick in April’s draft, and hopefully will look to find a linebacker to add support to a relatively weak core group of starters.